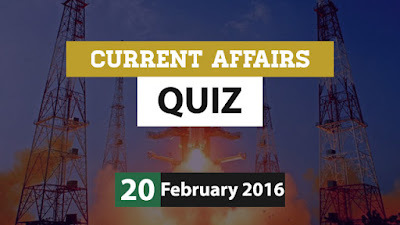 Hi Aspirants..Here is the Current Affairs Quiz for 20 February 2016 useful for all upcoming competitive Exams including LIC AAO 2016, SSC CGL 2016, Railway RRB Exam 2016, ISRO Assistant Exam 2016 etc. Attempt the quiz and share your score. 1) ISRO on 19 February 2016 has successfully conducted hotbed test of the indigenously developed high-thrust cryogenic engine (CE20) of the GSLV Mark 3 (LVM3) rocket for the upper stage from ISRO Propulsion Research Centre at? 2) Scientists have recently discovered ____ new Jupiter-like planets that are similar in characteristics to our solar system’s biggest planet? 3) Christine Lagarde was on 19 February 2016 appointed as the Managing Director (MD) of the International Monetary Fund for a second five-year term. She is from which country? 4) Kalikho Pul was on 19 February 2016 sworn-in as the 9th Chief Minister of which state? 5) Pulitzer Prize winning writer Harper Lee who died on 19 February 2016 belongs to which country? 6) Amit Mitra was on 19 February 2016 appointed as the Chairman of the Empowered Committee of State Finance Ministers on Goods and Services Tax (GST). Amit Mitra is the Finance Minister of? 7) Ustad Abdul Rashid Khan who passed on 19 February 2016 was a veteran? 8) Which country on 18 February 2016 successfully launched ASTRO-H space observation satellite to probe mysterious black holes? 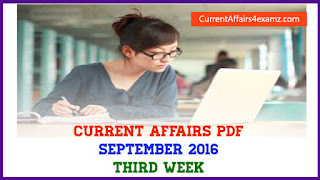 9) Akbar Kakkattil who died on 18 February 2016 was a renowed writer in which language? 10) Which state government has recently launched the Utkarsh Bangla Scheme with an aim of providing vocational training to school dropouts?